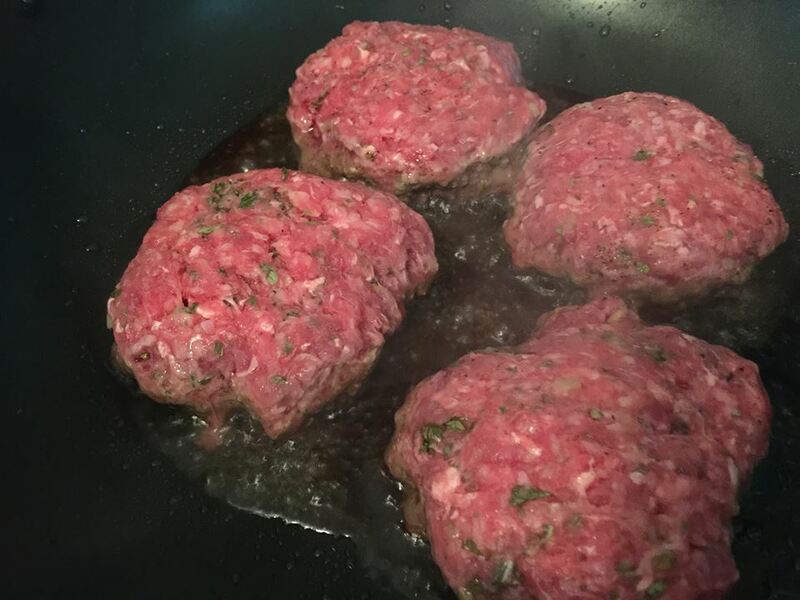 Combine ground beef, minced garlic, and parsley. Form into four patties. Season lightly with salt and pepper. Saute patties in 2 tbsp oil in skillet. Cook 4-5 minutes and then flip. 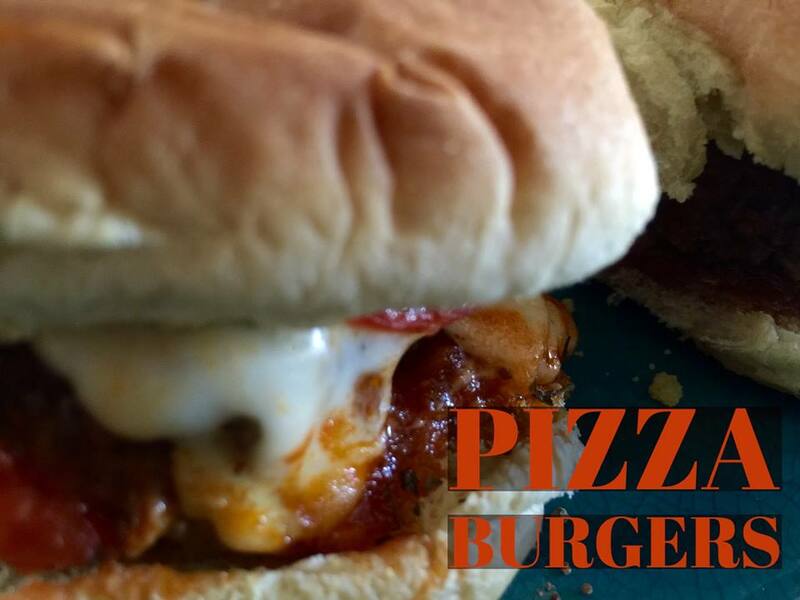 Pour the marinara sauce around the burgers. 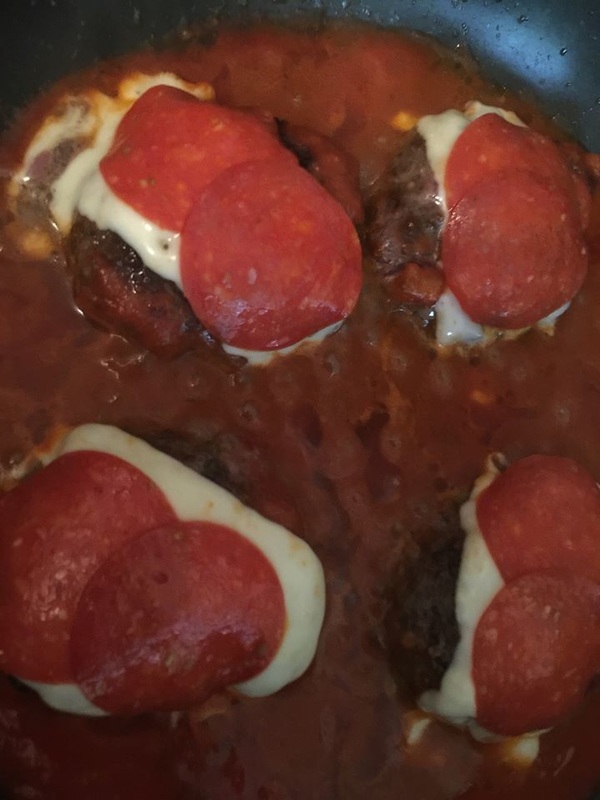 Simmer for one minute and then top each burger with a slice of cheese and two pieces of pepperoni. Cover and cook for an additional 3 minutes. Place the 8 halves of buns on a cookie sheet. Spread melted butter on each one, topped with a light sprinkling of garlic powder, Italian seasoning and grated Parmesan cheese. Bake buns in the oven at 350F for 10 minutes. Spread a spoonful of marinara sauce from the skillet on the bottom half of the toasted buns. Add the burger and top with the remaining half of the bun.